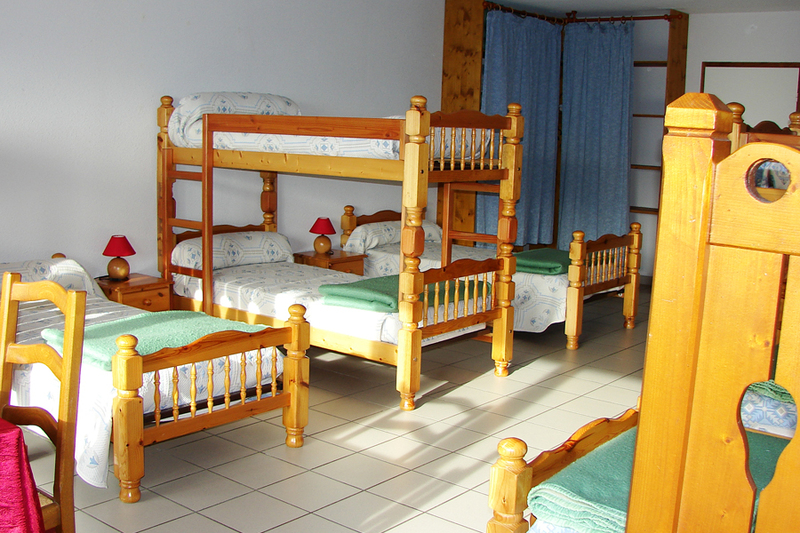 Our Guesthouse ” dormitory ” ground floor for groups or large families. 60m², equipped with 8 beds 90/190 , 2 shower rooms and 2 separate toilets. 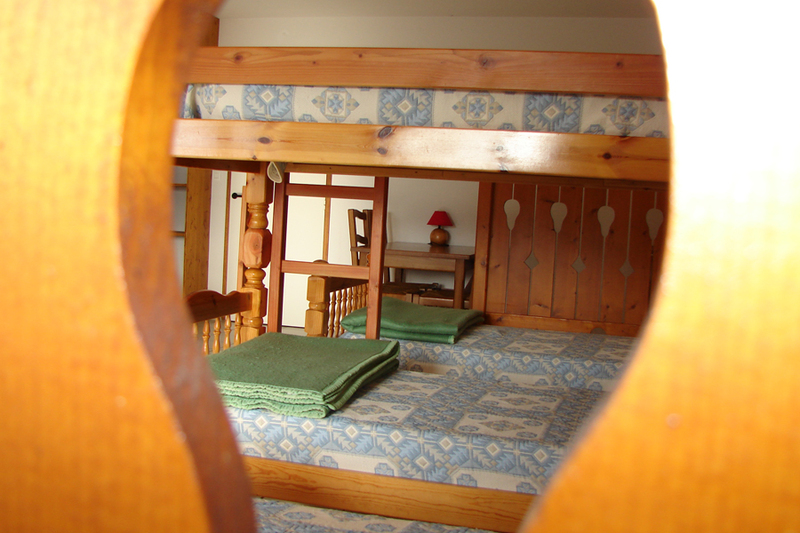 All our rooms were carefully decorated in the modern mountain style and equipped with braids, television LCD, provided each of a room of shower and toilets. 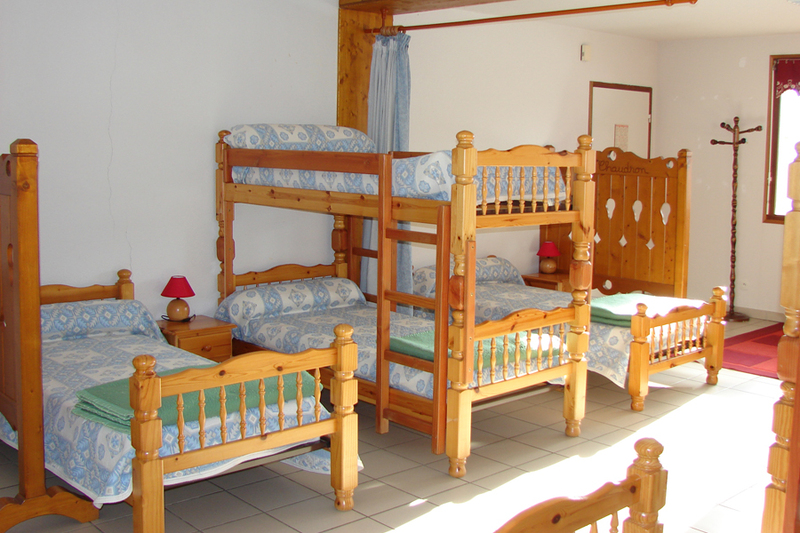 Our lodge is equipped with 8 beds (90 x 190 cm) : - 4 single beds, - 2x2 bunk beds, - 2 showers, - 2 separate toilets. Social behavior and cleanliness? Your dog is admitted ! This room is not accessible to the disabled people. 25 euros per person, including breakfast. Continental breakfast : service from 08:00 to 10:30 am, at the bar or on the terrace. At the edge of the village of Montsapey, Savoie, on the south side of the Massif du Grand Arc, the Chaudron Inn offers superb views overlooking the entrance to the Maurienne valley, the massif of the Lauzière and Belledonne.